Lotion Applicator softens, soothes and protects areas you can't reach. Apply lotion, sunscreen or ointment. 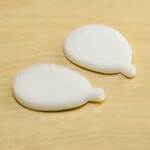 Plastic wand is 14"L.
Lotion applicator refill pads soften, soothe and protect areas you can't reach. Apply lotion, sunscreen or ointment. …with water. If accidentally ingested, contact a physician. Keep out of reach of children. Sunburn Alert:This product contains Alpha Hydroxy Acids that can increase your skin's sensitivity to sunlight. 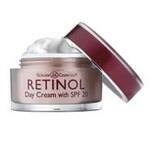 Use a sunscreen and limit sun exposure while using this product and for 2 weeks afterward. …If skin irritation or rash occurs, discontinue use immediately. Avoid contact with eyes. Sunburn Alert: This product contains Alpha Hydroxy Acids that can increase your skin's sensitivity to sunlight. 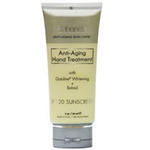 Use a sunscreen and limit sun exposure while using this product and for 2 weeks afterward.